Opinions on Sportback in Ara Blue (chrome)? 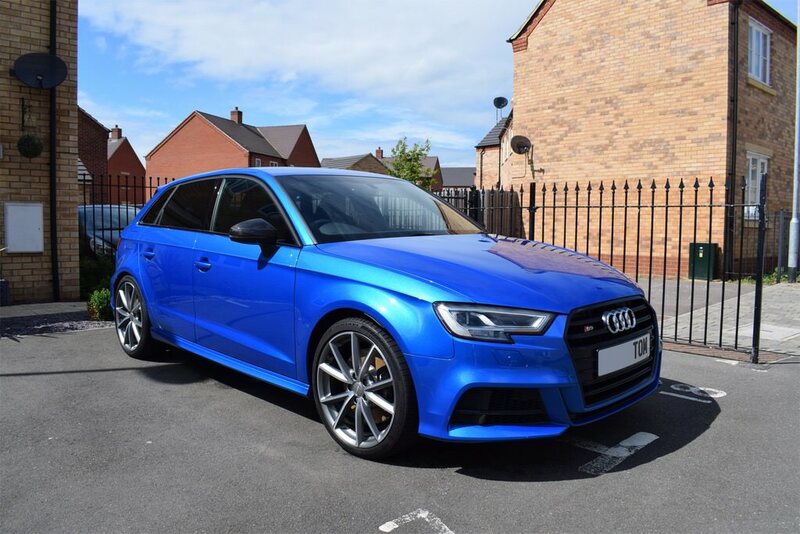 Currently got an S3 Sportback on order in Mythos black, but I'm seriously considering changing to Ara Blue as I fell in love with it when I saw it with the chrome. Only thing that worries me is I won't like it with the sunroof which I dont really wanna take off the spec, might look a little out of place on the Chrome version, the one I saw didnt have it. Can only comment on colour. Being a (potentially) fellow Ara blue owner. The colour is amazing, nearly everyone who's seen the car for the first time has commented on how good the colour is. With chrome trim it'll work well, unfortunately can't help with the sun roof part. Bristle Hound and Mythos like this. Cheers man. Should be a lot better than the black for swirl marks and keeping it looking clean, also looks more unique too...bit bored of black. I guess getting the colour I want is a little more important than the sunroof, so it might be worth removing that on the spec. Ara blue is a gorgeous colour. I have a black edition so no chrome. Part of me wished I got the the chrome cause they don’t scratch as easily as the piano black trim. Also found ara blue hides dirt better than blacks or whites. jassyo06, Scotty75, Bristle Hound and 1 other person like this. Another taster for Ara blue. Also black edition. Ayesha, jassyo06, Pook and 3 others like this. 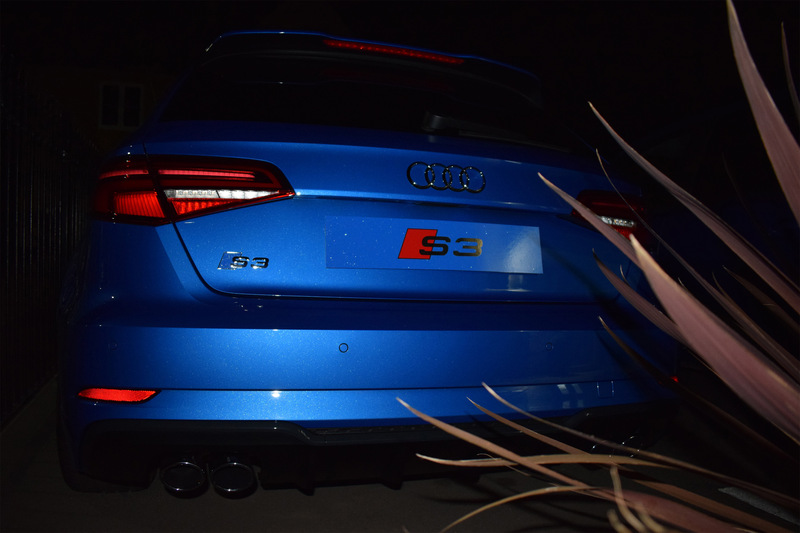 When I was debating to order an RS3 or not, Ara Blue with chrome pack was my choice. Although be it a saloon. However, when speccing the Sportback (for reference) I did tick the chrome roof rails, which I thought looked better than without. Thing is with the sunroof being black it works really well with the black edition! I’d personally swap to Ara although I’m bias. I’ve had a black A3 previously and it was a nightmare to keep clean and scratched just by looking at it although even I’ll admit it looked good when just washed. I know mate, I'm proper OCD with things like this. It's definitely a massive pain having a black car, but as you say when clean they do look good. Think I'll get in contract with my dealer and ask him to change to Ara, I'll keep the sunroof too! As far as the sunroof goes, I did not want it but in Canada it is not an option, as it is standard on the S3. It’s funny in the UK on my order sheet the sunroof is a free delete option but if I wanted to undelete it costs is about £1k. Mythos and Adam14 like this. This is a good example of what I'll be getting, just missing the sunroof. Those red calipers go really well with Ara Blue. I decided against the red callipers. Looks good when clean but needs kept clean. Audi brake pads are known to have loads of black dust as well. Black calipers hide it well but that’s just my laziness talking. Completely disagree with that in my experience with the red S3 callipers. My alloys can be caked in brake dust but the callipers always seem to stay a nice red and somehow attract very little brake dust themselves. jassyo06 and AlS3BE like this. Ara was the only colour I wanted.....was literally that or nothing. Wish I had red brake calipers because I think it goes with the blue really well. My last 3 cars have had red calipers as standard....but what a rip off to get Audi to paint them. jassyo06, Mythos, Pook and 1 other person like this. I prefer Ara Blue with the black pack! Yeah, meant Aluminium, not Chrome. My bad. It is rediculous, some of the options you have to pay for is a bit of joke, privacy glass, reversing camera, electric mirrors and VC should of be standard on an S car in my opinion. mfl and Ron240 like this. Couldn't agree more.....especially for making the customer pay more for folding mirrors. Unfortunately that's "premium" brands for you.....they know we will buy them then still pay extra for what comes standard on cars costing half the price. Or not cause I don't have any of them apart from privacy glass. jassyo06 and Ron240 like this. Yes this is very true....and I honestly wouldn't have a car without privacy glass now. jassyo06 and Adam14 like this. you can add a rear armrest in the rear seat as well to that list, considering what you pay for a S3. To be fair my S3 is pretty "basic" trim . Most important thing for me was the colour and B&O speakers. Could only afford a used car, think colour is one of the most important choices and with Ara you can't go far wrong. Mythos, Ron240 and jassyo06 like this. Didn't even realise you have to pay for that? Yip... £250 if i recall! I thought i had speced this as the configurator was confusing on this part but shame on Audi for charging for this and folding mirrors which should be standard! Ara blue is ace.....wasn't really thinking about it when I bought my S3, but the salesman turned out to be right......and, much as I kinda begrudged the +£00~ for the red calipers, it does round off the look. Ara is a lovely colour and worth the extra few quid in my opinion. TYb and jassyo06 like this. Is there vinyl wrap that looks exactly or very close to Ara Blue? dp_motley, Ron240, TYb and 1 other person like this. Done a fair bit of mileage (for me anyway over the past couple of weeks) was in Northumberland week before last - we even crossed over in to Scotland - then down in Wiltshire this weekend just gone. They're the chrome ones in that pic, just look very dark mate. Actually keep toying with the idea of getting chrome ones again lol I do miss the look of those every time I see a car with them.